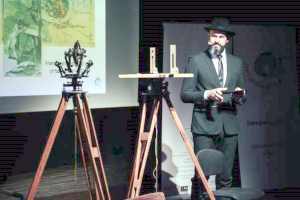 The Association of Surveyors of Slovenia organized the gala concert to celebrate the 60th Volume of Geodetski vestnik, the professional journal of the Association. 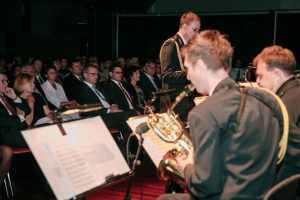 The concert was organized under the auspices of the president of the Republic of Slovenia, Mr. Borut Pahor. Prof. Dr. Rudolf Staiger, FIG vice-president, gave a festal speech to the auditorium. 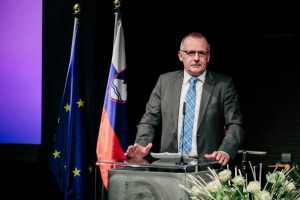 In the framework of this visit, prof. dr. Rudolf Staiger met also Irena Majcen, minister of the environment and spatial planning, the representatives of the Slovenian Surveying and Mapping Authority and the representatives of the Faculty of Civil and Geodetic Engineering at the University of Ljubljana. Geodetski vestnik is the official journal of the Association of Surveyors of Slovenia (ZGS). It publishes scientific and professional peer-reviewed papers, professional discussions, reports and reviews, results of higher education or scientific works, terminological professional articles and other similar works. Dr. Anka Lisec, the current Chief-Editor of Geodetski vestnik, pointed out that the articles are printed in English or Slovenian language. 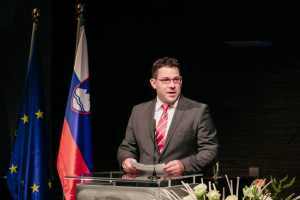 As bulletin of the Association of Surveyors of Slovenia it publishes also reports of the state surveying and mapping authority, professional informative articles, polemics, documents of the association, communications to members, memorial and similar records, advertisements and tenders, in short, articles of popular character. In the past decades, Geodetski vestnik has become an important regional and international platform for publications of the newest scientific and professional achievements among the scientists and professionals in the region and at the broader international level, who work in the fields of geodesy, surveying, geoinformatics, spatial planning, and in the other to the aforementioned related fields. The journal is abstracted and indexed in several international bibliographic databases, including in WoS, SSCI, JCR/SSE, GEOBASE(TM), ICONDA, DOAJ, GeoRef, Environmental Sciences. During his stay in Slovenia, FIG Vice President Staiger also had the opportunity to meet members from the Association of Surveyors of Slovenia.